David de Gea’s contract at Manchester United will expire at the end of the next season and the Red Devils are yet to find an agreement with the goalkeeper over a new deal. Last October, Sport Witness reported nothing was agreed or defined on new contract for the Spain international, despite claims one had been agreed. A source close to the situation told Sport Witness in March there had been no change in the former Atletico Madrid man’s contract situation and failing to tie the 28-year-old before the end of the season will see him enter in his final year of contract. 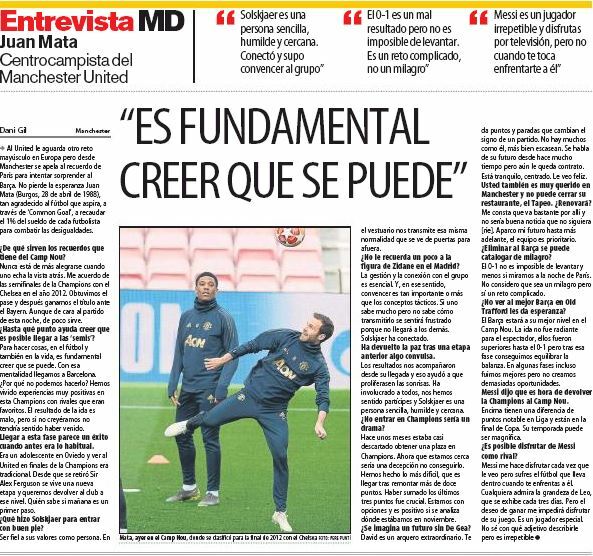 Meanwhile, Mata’s contract with the 20-time English champions expires in the summer and his father last week revealed the Premier League club have offered him a new deal, while there are also offers from other Champions League clubs.